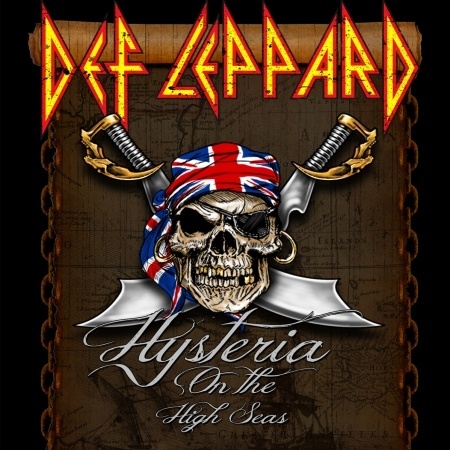 Def Leppard begin their Hysteria On The High Seas cruise on 21st January and there are now only three days to go. The band's first ever rock cruise event starts on Thursday when they set sail with over 4,000 fans from Miami. Both Vivian and Phil will also be playing shows during the cruise with their side bands Last In Line and Delta Deep. The event takes place on the cruise ship MSC Divina which sets sail from Miami to the Caribbean and will visit Grand Bahama Island and the private island oasis of Half Moon Cay. The Hysteria On The High Seas Cruise was announced on 20th March. The cruise runs from January 21st to 25th. General bookings for the event went on sale in June - visit the official cruise website for more details. The band will be doing special theatre and Storytellers performances and taking part in a Q and A. Last In Line, Tom Keifer and many others are playing alongside Lep. The event is hosted by DJ Eddie Trunk. "Actually that's a very difficult question to answer right now because obviously with the cruise there's a full on electric performance. We're still kind of up in the air as to which set we're gonna play. We've just done some songs in the UK that we don't normally play in the US. We might actually just play them on the boat. Just for fun because we don't normally get to do them. But we also as you well know are gonna be doing like a pool party kind of acoustic question and answer type concert as well. And that's gonna be the fun part. And that's the bit right now that's so up in the air because we want that to be kind of semi spontaneous and with the passing of David Bowie today. I get the impression there's a small chance that there might be a Bowie song played." "But I haven't even discussed this with the rest of my band mates yet. So that's between you and me and a million people that are listening. So we'll see. We'll see how that goes but we want it to be that spontaneous so we can just go you know what?. I just wanna do this because if it wasn't for him I wouldn't be here. So I'm gonna play this anyway. That might actually happen on the night but I'm just making this up as I go along." "I've never done a cruise. It's a whole new thing for me. So I don't know whether to dress up as Johnny Depp or whether to do the honourable thing and be Michael Bolton and do the pastiche of the Pirates Of The Caribbean movies. Great video by the way."